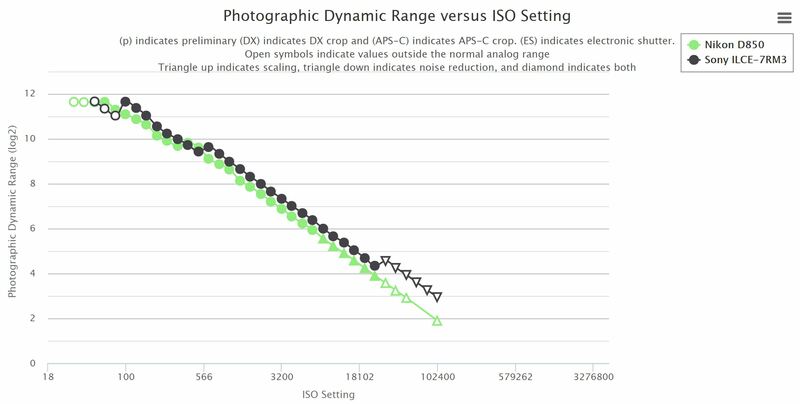 Photonstophotos has just updated the Sony a7R III (Amazon/B&H Photo/Adorama/Focus Camera)’s dynamic range chart today. 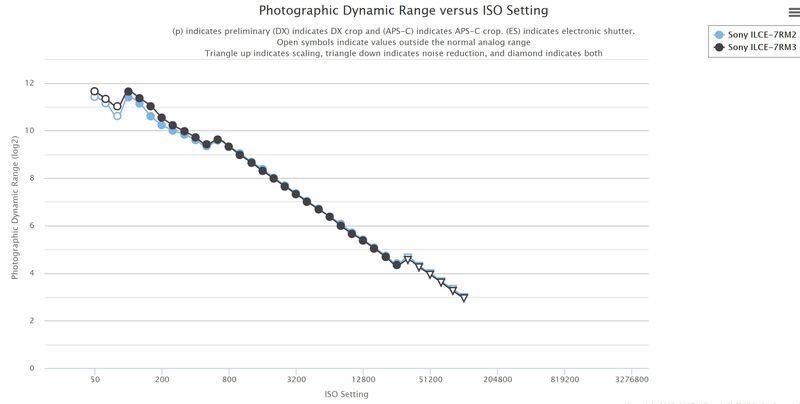 Compared to Sony a7R II, there is a max 0.4 stops improved on a7R III. And compared to Nikon D850, it seems a7R III beats D850 overall.